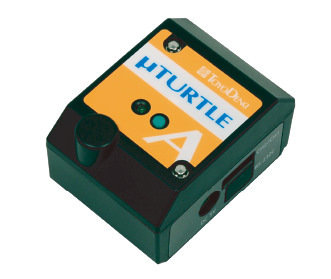 μTURTLE-A Wireless Analog Sensor｜Remote Monitoring Systems｜Information Equipment Systems｜Products Information｜Toyo Denki Seizo K.K. Supports common outputs from measurement equipment: current signal from 4 to 20 mA and voltage signal from 0 to 10V. Supports simultaneous dual channel input. Standard thermistor also available. 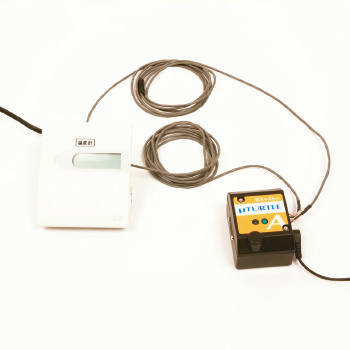 Converts analog output from sensor to digital values, and transmits wirelessly. No need for wired connectors, perfect for installing multiple devices. Collected data is stored on a computer and can be displayed as graphs or output as CSV files. Use to prepare daily reports, graphs, and trend analysis. Single-phase tolerance ±1.0% F. S.